Non-Nano, Reef Safe, Non-GMO, Biodegradable, Vegan, Cruelty Free, Alcohol Free, Paraben and Phthalate Free. Naturally mimics the collagen-boosting effects of retinol, without the sun-sensitivity side effects. Nourishing, plant-based ingredients are rich in antioxidants and gentle on the skin. Offers an immediate firming effect with a long-term reduction in the appearance of fine lines, wrinkles and dark spots. Non-greasy and lightweight lotion offers powerful, broad-spectrum SPF 30 protection from pure zinc. I seriously love this stuff. I had been using a pricey cleanser from Sephora for years but I have officially switched. I have very dry skin and this product makes my face feel clean without stripping it. I tried this months ago in my Nest fix... I liked it. I noticed it has a different texture (slight grit) but didn’t really think anything about. THEN I started to notice that my face was looking significantly smoother than my neck and chest! I finally put it together that this was a mini-microdermabrasion everyday! It doesn’t break me out and my skin looks amazing! 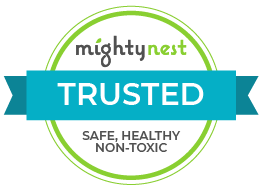 Thanks to Mighty Nest I found a wonderful new product. I love that it has a SPF 30, which is difficult to find in ethically friendly products. The product was light once applied, and had a nice, subtle fragrance. I had the exact opposite experience as another reviewer. I had never heard of this product until I received it as my monthly shipment. I fell in love with it from the first application. I am running low and refuse to run out so am adding it to my next shipment now. My skin has never felt better. I love this product. I felt like it was much thicker than past moisturizers that I have tried and I really felt it on my skin. It gave me the feeling that my skin was protected and covered. I did notice that my skin looked more nourished. The problem is that the pump would randomly stop working. Now it doesn't work at all and I have to unscrew the top and use the straw thing to scoop out the cream. It is very inefficient. That being said, I now use the full line of Goddess Garden products in the AM and it's even better. I put the serum on and then I layer this on top. The serum helps the moisturizer; it goes on so smooth, no thick spots or white/pale areas. I really love this product and the regimen, they just really need to fix the major flaws in the bottle design. When I had first applied this to my face, I didn't like the sticky feeling at all. However, it was the dead of winter and my skin was super dry, so this really did fit the bill for that. It kept my face from feeling the harshness of a biting cold winter blast. In terms of the benefits, I actually did notice a difference with the texture of my skin and the overall appearance with consistent use. My skin was smoother and it seemed like some of the fine lines that I started to get were going away. The bottle seemed small, but it has lasted me a long time. Overall, I love this for the winter, however, I'm hesitant to use it in the summer, but I'll have to try it then and see. While this is smooth, it leaves a thick layer on your skin. You feel greasy almost immediately. I love this for when I am going to the beach but not for day to day use. I loved the texture, scent and feel of this moisturizer on my face, but the bottle randomly won’t squirt out the moisturizer....maybe due to the very thickness of the cream. As I got to the bottom 1/4 of the bottom it stopped squirting at all and I have to unscrew and wipe from the straw to get anything. Now that it’s at the very bottom I cannot even reach anymore cream and it is a lot of waste. What a shame. I really liked it but probably would not get it again for this reason. Glad to hear you liked the moisturizer but sorry to hear you are having trouble with the pump! As the formula gets down to the bottom, an empty tube can form in the middle of the formula where the pump has been pulling from. You can shake the formula down to evenly disperse it across the bottom of the bottle or use a little makeup brush to get out the last bits that won't feed into the pump. Thanks for your feedback! I wasn't a fan of this - I really wanted to be! I didn't like the consistency of the lotion. Also, it made my face itchy. I have to say this is the first Fix I've received that I am disappointed in. I found this to have an unpleasant almost separated texture and a smell I did not like. I can't speak to the effectiveness of the actives or the sunscreen in this product as I found the smell offputting enough that I immediately washed it off. This “moisturizer” has sunscreen but left dry flaky patches on my skin and is very tacky- took multiple washes in the evening to break through sticky barrier. I definitely wouldn’t use it in the winter when skin tends to be drier- I won’t even finish the bottle. This product initially seemed to work well; however, after using it for a week in problem areas on my face, I found that my dryness spread and my face started to flake. I found myself using more and more of the cream (which was thick and would no longer pump out of the nozzle). I also noticed a distinct paleness for the areas that I applied it to. After attempting to use the product for about a month, I am no longer incorporating it into my morning routine. This product was included in one of the monthly mailings. While I liked the idea of it, the reality was different. I found it very heavy when first put on. It had more the feel of zinc oxide which is it's "active ingredient". After a few hours the sticky feeling goes away. I will use it up but would never buy it again.